The Town of Gorham is in Ontario County in Western New York. Named after Nathaniel Gorham, politician and merchant from Massashusetts, it covers an area of over 50 square miles. The population, according to the 2010 census, is 4,274. 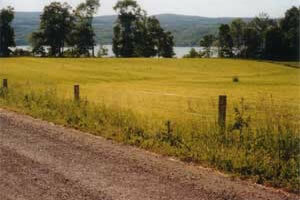 The Town was created in 1789 and is bordered to the west by Canandaigua Lake and to the west by Yates County. Gorham is known as the "Bandstand of the Finger Lakes", a result of the extensive marching band extravaganza that occurs each year in the town.